The following are a sampling of what might be asked in an interview for prospective Elders. The sampling of questions could also be modified for use in a Deacon interview. These questions are not intended to be exhaustive; they are however intended to be representative of the kinds of questions churches often don’t ask before affirming men to serve in positions of leadership in the local church. You are encouraged to reproduce this sampling of questions for your church leadership interviews. Please note: When asking these or other questions of an Elder/Deacon Candidate, I am by no means assuming that we are asking these men for perfection! We are however, seeking a direction in their life toward holiness of character which speaks of what God is doing in them and with them as they aspire to serve the body of Christ. 11. How do you generally respond when confronted? Challenged? Questioned? Wrongly accused? Slandered? Rightly rebuked? Encouraged? Misunderstood? Mistreated? 12. What would be your counsel for young man or woman who struggles with sexual sin? Do you struggle with sexual temptation? Are you gaining victory or losing the battle? Is there anything in this particular area for which you could be disqualified from serving as an Elder? 13. How well do you work in a team-oriented ministry? Do others think of you as a “team player” or as a burden to deal with in difficult situations? 14. What is your overall philosophy of ministry and why? What are the non-negotiables in that philosophy, and in what areas would you respond with openness and charity if there were disagreements? 15. 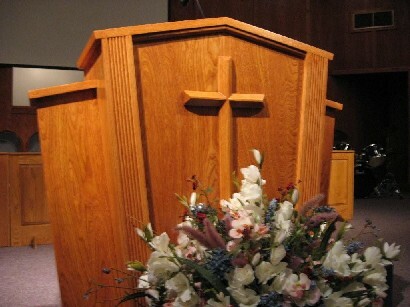 What is expository preaching and is it essential for the growth of the church? Is topical and/or textual preaching valid, and, if so, in what context?